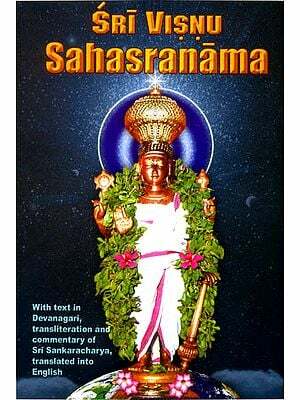 Sri Satchidanandendra Saraswathi Swamiji laments in the book "It is a pity that the job of writing the history of such a world famous luminary as Sri Sankaracarya, fell to the lot of a few poets only; hence it is very difficult to decide what really is true about the acharya's life." Sri Swamiji is well aware that the poets do exaggerate, may be because they are overcome by their devotion to the acarya or because of their bias and affiliation to a certain matha or to a vedantaprakriya. Whatever the reason, the Swamiji, who set out to write a comprehensive and critical summary of all the events in the life of the acarya, had a fundamental principle for evaluating the source material that was available to him, and that in his own words is: "Although I have made use of these types of books to write this one, I have to point out one speciality of this book in the beginning itself. whatever matter that appeared to me as going against the opinion available in the prasthanatraya bhashyas, which have been agreed by one and all to be the works of the acarya, I have not evaluated them without contrasting it with the touchstone of that opinion. When the opinions are not going against, I have ventured to compare and contrast with the various available works and give my opinion of what is essential and what is not". He pleads that the Bhashyas alone are history of the Acarya. Sri Sri Satchidanandendra Saraswathi Swamiji (1880-1975), the Founder of Adhyatma Prakasha Karyalaya, Holenarsipur, was the celebrated authority on Shankara Vedanta during the twentieth century. He researched and worked with profound dedication and a missionary zeal throughout his life for bringing out and presenting to the seeker the pristine pure Advaita Vedanta according to the tradition of Gaudapada, Shankara and Sureswara, He is reverentially hailed as Abhinava Shankara of the twentieth century. 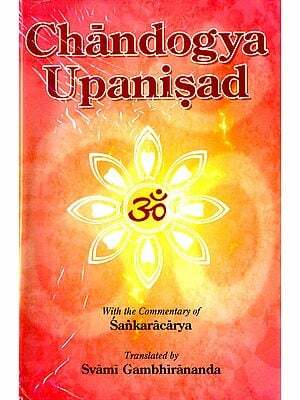 Shankara who appeared more than a thousand years ago recovered the true spirit of the Upanishadic Texts and the Vedantic Tradition from the multitude of wrong interpretations prevailing at that time. Sri Sri Swamiji who appeared on the scene during the last century devoted his life time to recover the pristine pure Vedanta of Shankara and the tradition of Adhyaropa Apavada Prakriya of the past Masters by cleansing the distortions and misrepresentations of Shankara in the post Shankara sub-commentaries, collectively known as Vyakhyana Prasthanas. Sri Sri Swamiji was an erudite scholar, a prolific writer and a great organizer. He wrote over 200 books in Kannada, English and Sanskrit, including Kannada translations of all the original and genuine works of Shankara. I never had any idea that the subject matter of this book would become so complicated when I finally made up my mind in response to the constant pressurisation from Sri B. Narayana Bhat of Hospet, Bellary District, that I should write such a book. Also I never expected that the book would grow this big. But, through God's grace many people volunteered to give me data with support of evidences; and many volunteered to look into what has been written. Fruition of their interest has made this book to come out. 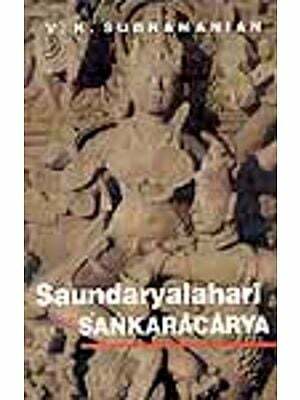 The name of Sankaracarya has been spread throughout the civilized world. His contribution not only to India, but also to the world at large, is enormous. He has strived to bring home the everlasting Truth that the world we see is ultimately the supreme Truth, Parabrahman; all the jivas here are truly manifestations of that Truth through his Prasthanatraya Bhasyas Bhasyas on the Upanisads, Bhagavadgita and the Brahma Sutras. I was exhilarated in the beginning that in addition to translate these Bhasyas into Kannada to the best of my abillity, opportunity has come my way to remember his history. also. But when I set myself to write this history, this excitement was gone because, unfortunately, not even a Single book is available to this date which would truly decipher the history of the Jagadgururu. Also there is no hope that we would get one in the future. After collecting material for the history of the Acarya. what was understood clearly is: some works of poetry called Sankara Vijayas, fictitious works involving various heresays and stories concocted by people about him and the source material prepared on the basis of these by the people of the Mathas purported to be established by the Acarya; and what some of the recent writers of historical interest have written except these, no other evidences or references we could procure. Even the historians, being devotees of one Matha or the other, have made their analyses so that it would support their Mathas of affiliation; even the small number of impartial ones had to put together whatever they could collect as they have helplessly suffered lack of sufficient material for their study. Although I have made use of the abovementioned types of books to write this one, I have to point out a speciality of this book in the beginning itself. Whatever matter that appeared to me as going against the opinion available in the Prasthanatraya. Bhasyas, which have been agreed by one and all to be the works of Acarya, I have not evaluated it without contrasting it with the touch stone of that opinion. When the opinions are not going against, I have ventured to compare and contrast with the various available works and give my opinion of what is essential and what is not. Fearlessly giving my opinions thus, some people have felt hurt; but many who wished to know the truth, have felt happy. However, I have the satisfaction that throughout I have kept up my solemn resolve that I should not agree with anything in the Bhagavatpada's history which would be a stigma to the worthiness of the great Acarya without any reason to justify. 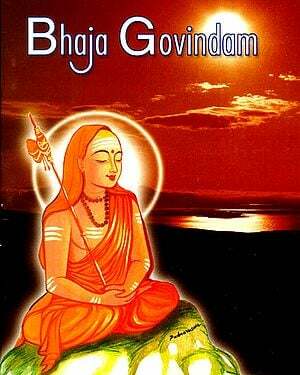 To such of those who read this book, with all humility I submit that the Bhasyas alone are history of the Acarya: one will have to evaluate him on the basis of his stances therein; and the only way to worship that Jagadguru is through study, comprehension and assimilation of the Bhasyas. There is no better way to show our devotion to him. It is necessary to acknowledge the names of those who have helped me while writing this Sankara Bhagavatpada Vrttanta Sara Sarvasva. First and foremost, Sri B. Narayana Bhat of Hospet has encouraged me by way of providing several books for this purpose. Secondly, Sri Narayana Ramacandra Kulkarni, M.A., LL.B., Principal, Janata Law College, Dharwad, has helped by lending the famous Hindi book (Sri Sankaracarya) of Sahityacarya Sri Baladeva Upadhyaya. Thirdly, Sri Sri Paramahamsa Abhinava Padmanabhatirtha (earlier, Sri Yogiswara Dattamurti Dixit, Bankapura) has lent the Marathi book "Sri Sankaracarya vatyanca Sampraday" of Sri Mahadeva Rajarama Bodas. Most importantly I gratefully acknowledge Sri K. R. Venkataraman, Director of Education (Rtd. ), Pudukottai, who has written the history of Sringeri Jagadguru Pitha entitled The Throne of Trancendental Wisdom. Not only he has provided me his book, but also his timely notes about the historical issues of Sringeri Pitha, whenever controversy arose regarding the various Mathas. Finally, and most importantly, the help rendered by Adhyatmavidya Pravina Sri H. S. Lakshminarasimhamurti Sastry, a scholar of the Adhyatma Prakasha Karyalaya has been very laudable. When I gave the manuscripts of the Appendices, he has compared with the original works; he has prepared the manuscript of the book for the press, proofread them; and saw that the work was completed. May the, desires of all these people be fulfilled is my fervent prayers to Bhagavan Sriman Narayana.